Is that Delicious Bacon Trying to Kill You? It seems everywhere across the internet there are headlines shouting that bacon and processed meats cause cancer and will kill us all. Unsurprisingly, a lot of people are unhappy and wondering what they should do. For starters? Don’t panic. There was a lot of confusion about what the 18% risk increase meant, and the fact that IARC had seemingly placed processed meats beside cigarettes and liquor only made matters. So what’s really going on? And is that delicious bacon trying to kill you? The first thing to know is that the system the IARC implements doesn’t take into consideration how much a carcinogen increases a person’s risk for cancer. In the same way that a light is either on or it isn’t, the IARC classifies environmental factors and foods as either carcinogenic or not. Bacon and processed meat have been placed beside cigarettes and alcohol because they definitely increase a person’s risk for cancer, the magnitude of that increase is inconsequential and not considered. 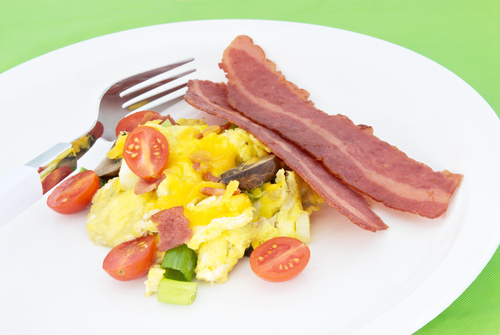 So how much is bacon and processed meats really increasing your risk? The number 18% has been getting tossed around quite a bit, and while it’s not incorrect, it’s also not quite accurate. What the IARC found was that if a person ate a lot of processed meats, then their likelihood of developing colon cancer was 18% higher than a person who ate none at all. That sounds like a lot, but in reality it means the meat-eaters colon cancer risk went from a risk of 4.5% (the risk of colon cancer for non-meat eaters) to 5.3%. A statistically significant change for sure, but perhaps not deserving the fear and excitement seen of late. But what does this mean for you? Well, that’s going to depend on what you choose to do with this information. This leap to 5.3% was for people eating a huge amount of processed meats. They were eating one or more large serving of processed every single day. Most of us don’t eat that much, and continuing to have bacon once in awhile isn’t going to hurt you. And the fact is many things are carcinogenic. It’s unavoidable to come in contact and consume things that will slightly increase your risk of cancer. And the longer we live, the more likely it is that most of us will develop cancer eventually. Does that mean you should give up all processed meats forever? Probably not. Does it mean you shouldn’t smoke and may want to consider cutting back on your alcohol consumption? Definitely and possibly. At the end of the day, the important thing is to read what you find on the internet carefully. Try to find reliable sources and understand what you’re being told. In general, people are easily spooked by things they don’t understand, and as a species, we’re pretty terrible at understanding actual risk. Driving a vehicle is one of the most dangerous things we do, and we do it everyday without fear or thought. Compared to the number of people who die in car accidents each year? You have nothing to fear from a little bacon. Health Risk is here to help Canadians find the information they need and have the coverage they want in order to live the healthiest, longest lives that they can. If you have a question about health or medical insurance in Canada, contact us today!